Looking for room hire that’s affordable, flexible and a bit different? Then take a closer look. Cobden Works is the inspirational home to artists and event engineers that have made Walk the Plank one of the UK’s leading arts companies. 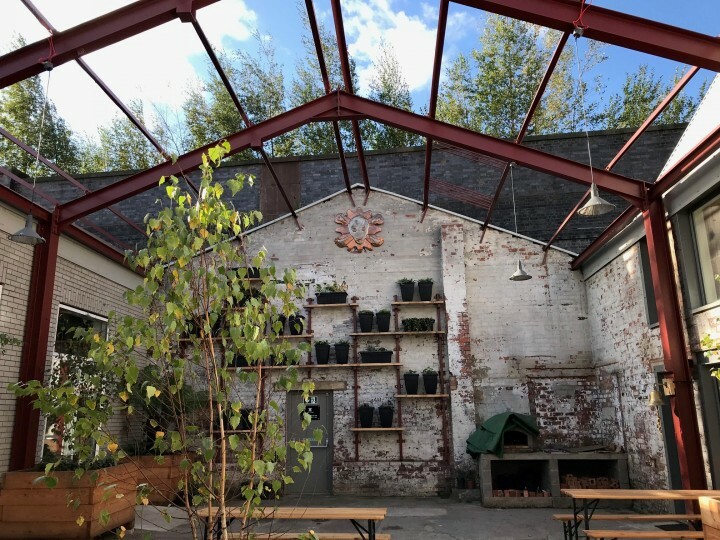 The great news is that this amazing hidden gem in Salford is available for room hire. 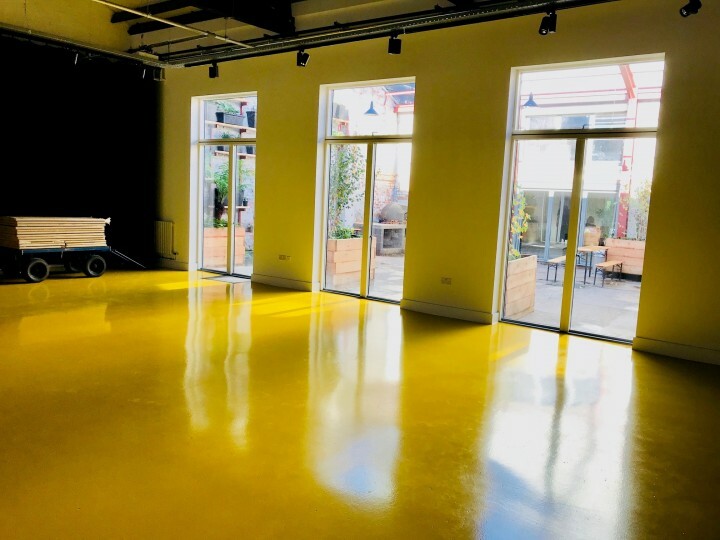 So, if you’re looking for an affordable venue, with a range of flexible spaces, Cobden Works should be at the very top of your list.Our pricing is designed to be as competitive as possible, and because we’re a charity – hiring Cobden Works means that you’ll be helping a brilliant cause. Whichever part of our home you want to use, you’ll benefit from our fully accessible site with a range of self-catering or hired-in catering options, and WiFi throughout. 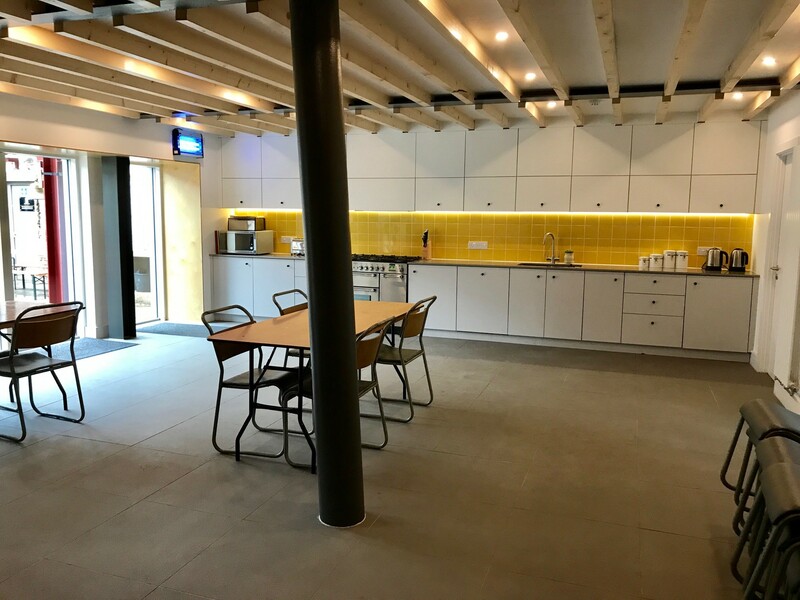 This is a fantastic contemporary room hire space, perfect for: Small conference venue/meeting room hire, function room hire, rehearsal space, yoga/dance studio or performances, training workshop hire, business presentations. Prices from £200 (plus VAT) for half day, excluding catering. This intimate Scandi-style kitchen dining space is reminiscent of our eating area on the Fitzcarraldo, the ship where Walk the Plank started back in 1992. Perfect as a break out space for teas and coffees during the day. Breaks out into our central courtyard in one direction and with direct access to our board room in the other. How much to hire? There are various options here so please call 0161 736 8964 to talk them through. Discounts for block bookings and charities are available. Planning a summer al freso event with a difference? Then why not do it in style and do it outdoors. Links directly to our indoor dining area but this amazing enclosed outdoor space has its own pizza oven. How much to hire? Again, please speak to one of our team on 0161 736 8964 for price options for the courtyard. Discounts for block bookings and charities are available. Looking to make props, costumes, structures or sets? 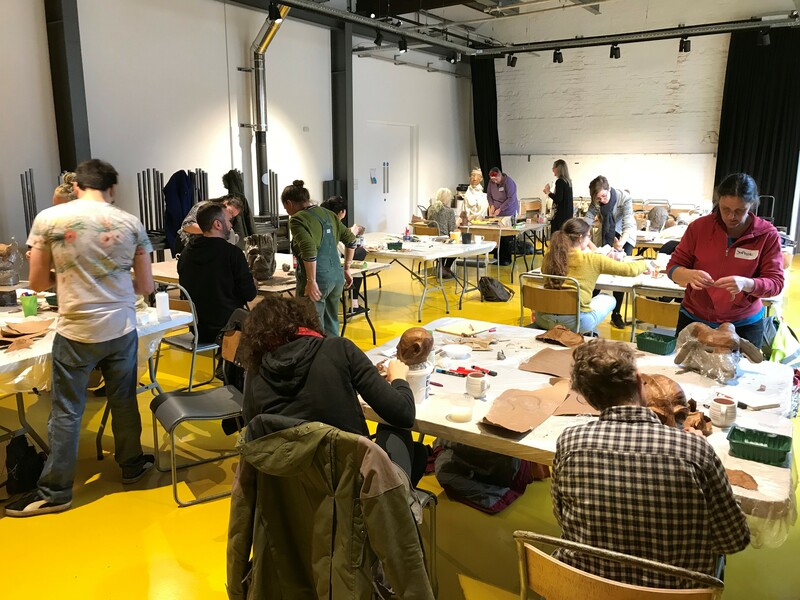 Situated in the former industrial spaces of the buildings that now form Cobden Works, our workshop provides flexible space for a range of making and fabrication purposes. Our heavy duty workshop is fully equipped for welding and woodwork and can be accessed via a 25 foot high industrial door. This part of our site can also be accessed by vans and lorries. Our other workshop leads off the Yellow Room, so can be used as a break out space for making activities or workshops. As an outdoor arts organisation we can bring a whole range of added extras to your event at Cobden Works – from additional performance and musical elements to small scale fireworks and fire drawings. We can offer a range of in-house catering including three course a la carte dinners, home- made pizzas from our wood-fired outdoor pizza oven, ranging from £10-20pp to simple tea and coffees for an informal half day event. You also have the option of self-catering your event. More details available at time of booking/enquiry. Want to book and find out more about room hire at Cobden Works? For more information on room hire, or to come and see Cobden Works, please contact us on 0161 736 8964 Option 1 or email info@walktheplank.co.uk, letting us know your contact details, provisional dates and basic requirements for the room.